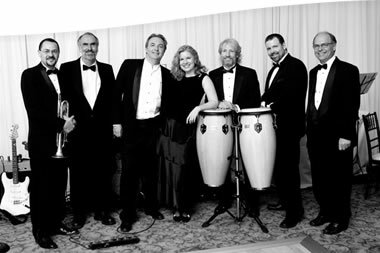 Artists in Rhythm - Live wedding music in Sedona, Arizona - professional wedding musicians for receptions and ceremonies. From the Grand Canyon to Phoenix, we can supply the excellent musicians you want to make your event the special occasion you’ve been imagining. Call us at 1-888-486-6365, or send us an email. Any song, any style, anywhere! Sedona, Scottsdale and their environs are blessed with a multitude of great musicians. Finding them, however, has not been that easy – until now. When you use our custom music planning and booking service, we do the work of finding the musicians, making sure they’re available, and handling all the finances and contractual arrangements. All you do is show up and enjoy the music! It’s that simple. You tell us what kind of music you want for your event, and we make it happen. All with crystal-clear contracts and agreements about money. Plus we handle all the music choices and charts for the musicians. We’re much more than booking agents – we’re custom music planners. And we’ll plan any kind of music – from a classical string quartet to a rock band, to a swing band with multiple horns. It’s your choice. Reggae, you say? Not a problem, mon. We know that planning an event isn’t always easy. Now there’s a part of it that is. And live music can make the difference between a “nice” event and one that’s magical and memorable. Simply email us here or call us toll-free at 1-888-486-6365. We’ll take it from the top. Here's where our clients toot our horn!